Heineken: The Cliche produced by Publicis Brasil tackles gender stereotypes and scores yet another goal for this premium beer brand. Heineken is long time supporter of UEFA Champions League, but the ad airs just before the UEFA Euro Championship, which is exclusively sponsored by Carlsberg. Carlsberg may be “probably the best beer in the world”, but Publicis Brasil creation for Heineken is much more engaging than anything that recently comes from 72andSunny’s Amsterdam office working for Danish brand. The difference between Heineken and Carlsberg brand worlds as shown in their ads is about emotions. Carlsberg with its “If Carlsberg did…” ad series tries to build surprise, tongue-in-cheek humour, connects its experience with exclusivity and uniqueness. Carlsberg ads are build for people who want to stand out and be different. It is very intellectual, probably inspired by Stella Artois a bit (although not that funny and not so surprising). Connection to football is rather weak, even if football legends appear in Carlsberg ads or football is actually shown on the screen. Heineken on the other hand is about having fun with friends. It is very human – as those brazilian guys from Cliche trying to sneak out for a football match from their girlfriends. The ad has engaging story, surprise is not quirky but funny, there is happy end and the ad leaves the viewer smiling. Everybody wins here, except of Heineken’s competition. The difference in number of views is stunning as we write, If Carlsberg did La Revolution is online for 3 weeks and did not reach 20,000 views yet. 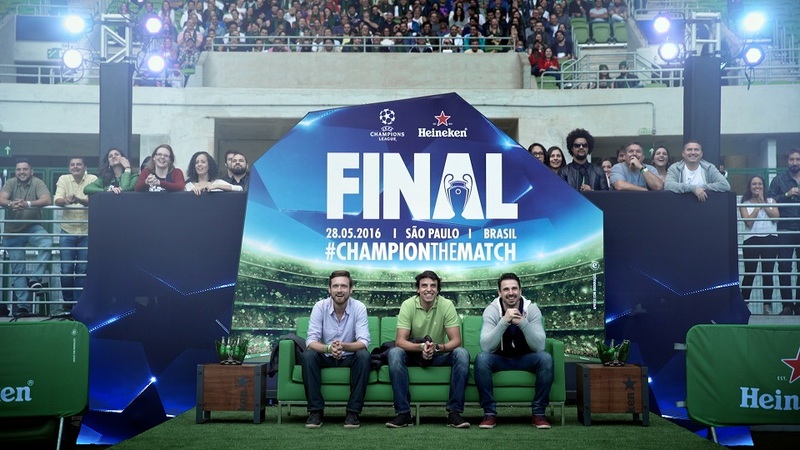 Heineken: The Cliche has already passed 820,000 views on YouTube, just three days after publication.